A Global To Region Perspective: Raising Mountain Voice At Durban ! | Quest That Change…. A Global To Region Perspective: Raising Mountain Voice At Durban ! On the expected outcomes from Durban Climate Change Conference (CoP 17) in terms of growing momentum of action and alarm bells from new researches. This discourse is about the meager role played by the leaders from most vulnerable regions like Himalayas and Andes during this important global conference. 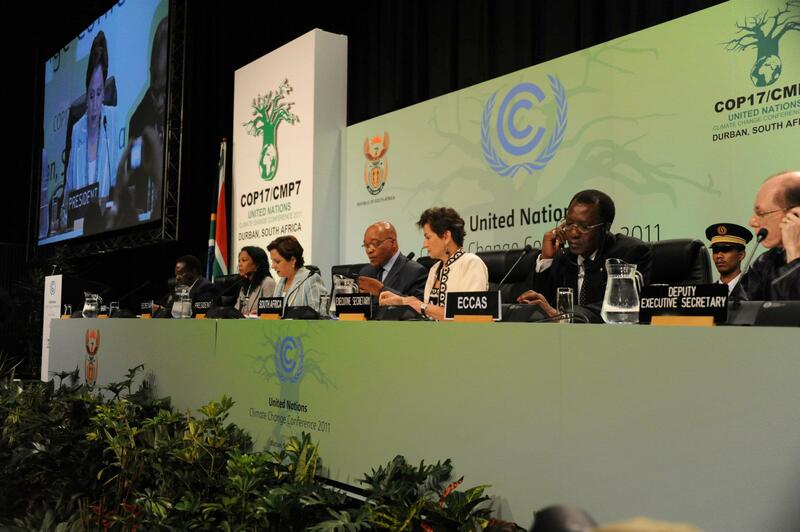 With the representation of about 20,000 delegates from about 200 countries there are many points of view coming up in ongoing Durban Climate Change Conference (CoP 17)and each country is trying to stick to a certain position. It sounds like a lot of conversation is going on behind the scenes. In general in the Durban Climate Change Conference there are three major issues which are supposed to be discussed and agreed. These are: the next commitment period of Kyoto Protocol, the process on Kyoto Protocol in longer run on binding regime and the future course of actions decided at Cancun and as Bali action plans. In setting up the larger picture, the important issues from regional perspectives are either not considered or will remain neglected during the conference of parties. There is a feeling that the marginalized communities from the mountain regions of the world will not be represented well here on many fronts. The core concern is about who can strongly represent and advocate the regional perspective from the major mountains of the world ranging from Andes to Alps and Rockies to Himalayas. Another aspect is that looking on specifics of problems and development on national perspectives, the developing nations from Hindu Kush Himalaya and Andes are more marginalized in comparison to other. Looking upon the efforts of the regional agency, International Centre for Integrated Mountain Development (ICIMOD) from Hindu Kush Himalayan region, it seems that the ball is rolling in solidarity. But, one can observe that there is not much encouraging response coming from national governments either and their delegations from Hindu Kush Himalayan countries (it has 8 focus countries) in joining the important side events like Mountain day and a show case on adaptation ‘Meeting of Minds’. For example India’s Environment Ministry will be organizing a separate side event with Centre for Science and Environment (CSE)- India with the presence of its Minister of State on the equity and effective climate agreement by presenting detailed case studies on low carbon economies. So, India has no plans to discuss mountain issues and perspective in general. The Durban conference will revolve around two important aspects of; growing momentum of action and the alarm bells from new research and findings on climate change. What has not been achieved during Cancun are Institutional Arrangements, Technology Mechanism, Adaptation Framework, Green Climate Fund and Review Mechanism are supposed to be to be rolled on to operationalize. Towards adaptation and climate friendly measures, the adaptation framework and technology mechanisms are the crucial aspects that need to be operationalized and diffused across the world by 2012. Similarly, the discourse will consider the arrangement of Green Climate Fund as an important adaptation and mitigation tool and for this purpose there will be consideration on the review mechanism of effectiveness of actions that starts from 2013 to 2015. It is evident that there is a deadlock about how to slow down the global warming in terms of Green House Gas emissions and international actions, as the Kyoto Protocol expires next year. The Ministerial meeting that will take place during next week will look into the aspect of Kyoto Protocol for fixing the terms for 2nd commitment period. It is envisaged that what was not achieved during Cancun on Kyoto Protocol will be considered in Durban for 2nd commitment period about how to address deeper emission reduction targets by industrialized nations. The issue is that US has never ratified Kyoto and blocked financing during October 2011 with Saudi Arabia. There will be dialogue on long term financing which was set 10 Billion USD per year for 2010-2013 at Copenhagen to help developing nations on re-forestation, clean technology and adaptation actions for climate change, which will come to an end in 2012 and there are no aspirational goals set yet given that it was set further 100 Billion USD annually in years to come till 2020. Further, it’s interesting to note that there is no roadmap available on how and from where this huge funding will come. Therefore, finalizing the funding mechanism would be a concrete step and way forward if at all agreed during Durban conference. There are many groups voicing around ideas like Occupy CoP 17 movement. They consider such meeting as merely circus, something that will not come up with realistic solutions. Coming back to mountain agenda from Himalayan region it’s a matter of great concern that a collective and strong voice from the Himalayan region is badly missing in Durban to raise the issues of the mountains!